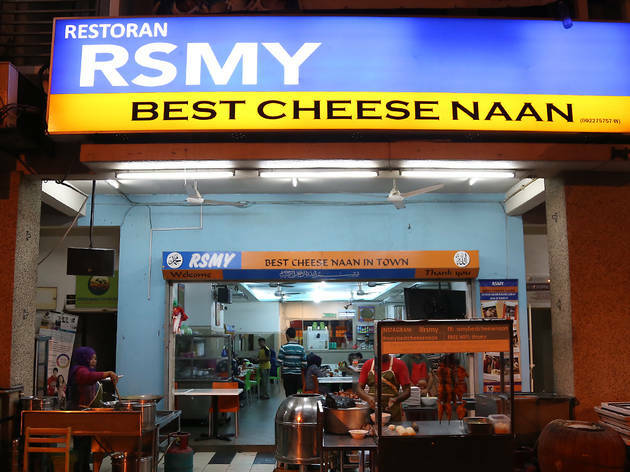 RSMY is best known for its cheese naan that oozes with mozzarella cheese, which can explain the RM6 price tag (garlic-cheese naan costs RM7). Curries and dhal are also sold separately, but you can take comfort in the fact that they're rich, flavourful and nothing like the watered down versions you get for free at regular mamaks (go for the chena curry and beef keema). 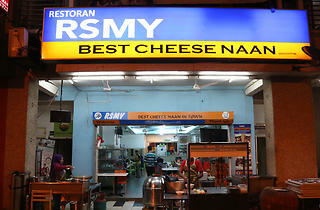 Aside from naan and roti, RSMY offers biryani bukhari, shish kebabs and even Penang laksa.